As with most FAQ writers, I can accept certain types of email from those that mail me from here. So here's an Email policy if you want to contact me in any way. *Alternative Strategies. Very handy if you can't quite get the grasp of what I've written. *Questions that haven't been answered in my guide. I'll be happy to help. Just as long as you check the version number of this guide first and make sure I understand you. If I forget you, then email me nicely and I'll get to you ASAP. *Contributions for the bonus levels. Yes, I know that when you hook the game up to "Rayman 3: Hoodlum Havoc" for the GameCube you get another level for every 100 lums you get, but I don't have a GCN. -_- If you have any contributions for those levels, feel free to send them in. *Questions already answered in my guide. You surely haven't read through it, haven't you? *Emails with executable files. I'm worried if they have viruses inside them or something. *Spam (repeated messages). Don't you have a life? Unless you're the staff at GameSpot, who can use this walkthrough on their site at their own leisure, please email me if you want the FAQ to be up on your own web space. Thank you. I would like to take this time to thank everyone and everything that made this walkthrough possible. 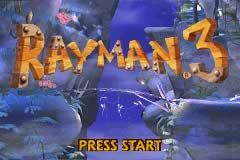 Rayman® 3 © 2003 Ubi Soft Entertainment. 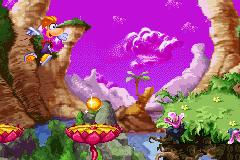 The logo and the character of Rayman are trademarks of Ubi Soft Entertainment. All rights reserved. 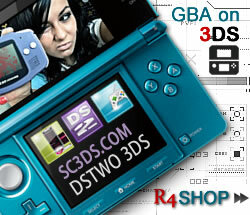 Nintendo®, GameBoy Advance™ and the Original Nintendo Seal of Quality are trademarks of Nintendo Co, Ltd.
Rayman 3 Walkthrough and FAQ is © "Rexy" 2003. All rights reserved.